Download the Bunny Defender Folder and unzip it to your Documents folder. 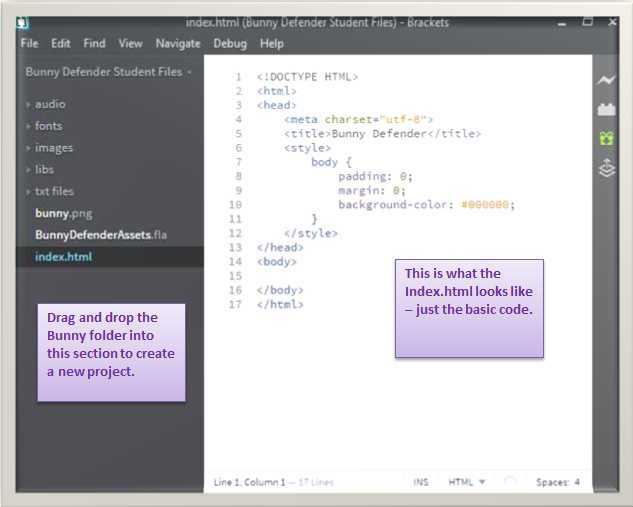 Take the Bunny Defender Folder and drop it onto the left hand side of Brackets to create a new project (see the graphic on the right). You will now see all the assets that you need.